The ROCORI Varsity Boys Basketball team has just started their 36th season along with their coach Bob Brink who has been the head coach during the entire 36 years. This story captures interviews with the coaches, team captains and highlights of their team practice. Tonight ROCORI will be hosting the Sauk Rapids-Rice varsity basketball team here in Cold Spring. The Spartans are working hard each day to improve their game. Their coaches are excited about this team that they feel has the potential to be one of the better teams in the conference. 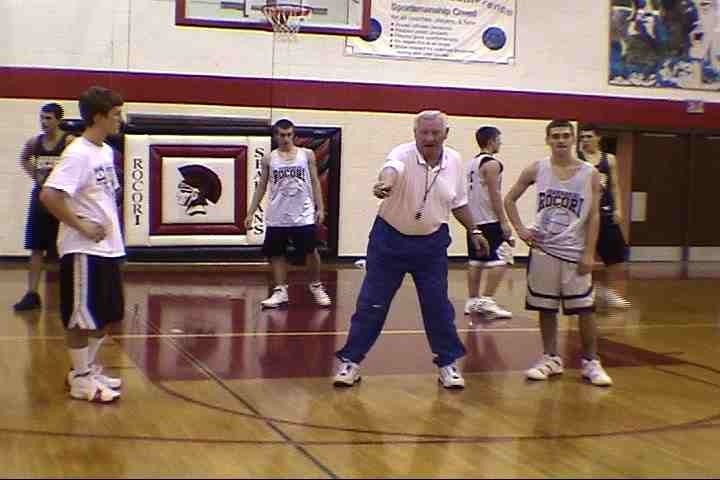 Coach Bob Brink begins his 36th season as the ROCORI Spartans Head Boys Basketball coach. Coach Brink has led Spartan teams to 10 state tournament berths and ranks as the second-winningest head coach (802 victories) in Minnesota high school history. Senior co-captains Chad Willenbring, Aaron Traut and Garrett Branstner share their thoughts about the up-coming season.